Thank you for your interest in my games. TCK Roleplaying ships worldwide and accepts all major credit cards through PayPal. You do not need an account, but you will be directed to the PayPal website to complete your transaction. I deliver all PDFs personally by email, generally within 24 hours of purchase. I post all physical books within five business days (but usually quicker). Shipping and handling charges will be applied at checkout. Finally, if you have any questions about your order, please contact me. 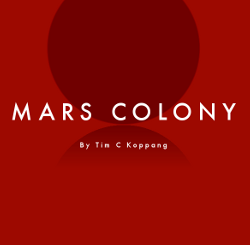 † Mars Colony: 39 Dark print books are out of stock. I apologize for the inconvenience. If you would like a book, please visit Indie Press Revolution. The fine people at IPR carry both Mars Colony and Mars Colony: 39 Dark in print. Please email me if you have any questions about your order. * The deck of Fringe Group Cards is an optional accessory to the main game. The deck contains 32 premium playing cards, each with a description of one real-life fringe protest group to help you create your fictional movement on Mars. While the PDFs and books are sold directly by TCK Roleplaying, the cards are available separately from the print-on-demand service, DriveThruCards. 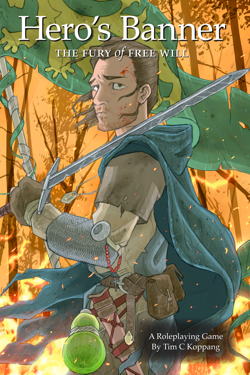 ‡ Please note that the Hero’s Banner PDF is available directly from TCK Roleplaying. However, the softcover book is available separately from the print-on-demand service, Lulu.